How do you know when you’ve married the right person? When your goals fit together! 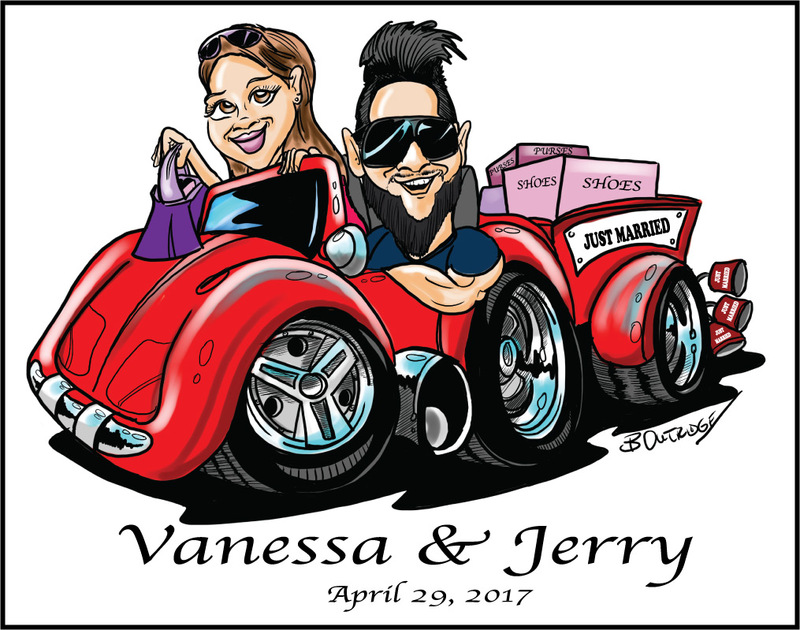 This was a gift caricature drawn for a couple getting married and he had a love of cars and she loved shopping. Since this week is Black Friday Sale Week due to the U.S. Thanksgiving I thought it was a fitting caricature. All the best to Vanessa and Jerry I hope you have a wonderful life together. I enjoyed drawing at their wedding, it was a big hit!